Ranbir Kapoor Brand Ambassador Returns to Mijwan Fashion Show after 4 years! 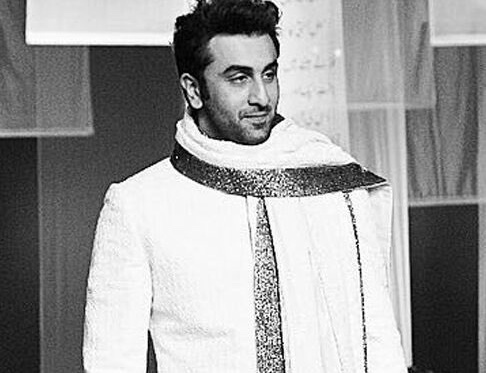 Ranbir Kapoor the Goodwill Ambassador of Mijwan Welfare Society with Shabana Azmi and Namrata Goyal at its helm will be the showstopper for the 9th Annual Fashion show “The Walk of Mijwan“ by Manish Malhotra, The Summer Collection 2018. Ranbir Kapoor says, “We, the young people of India, need to turn our attention towards rural India and focus on empowering the girl child. My sister Riddhima and I were raised as equals and I want every girl and boy to be treated equally. To my young friends, I say “Be the Change you wish to see in the world. You can do it and your time starts now”. Late Kaifi Azmi founded Mijwan Welfare Society with the goal of making Mijwan a scalable and replicable model of development with a focus on the girl child and women. In 1993 Mijwan didn’t exist on the map of India – today Mijwan is known worldwide. All the major stars of the Indian Film Industry have walked for Mijwan. This year, Deepika Padukone will also be a part of the spectacular fashion show walking with Ranbir as the showstopper. Because of MWS efforts and Shabana Azmi’s intervention the infrastructural development in Mijwan matches up to that of bigger cities. The entire show, which takes place on April 9th, will showcase the success story that Mijwan is and the incredible work they continue to do.